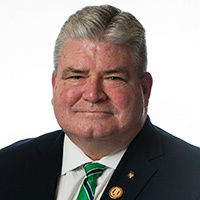 Two bills sponsored by Senator Steve Oroho (R-Sussex, Morris, Hunterdon) that help local governments purchase farmland for preservation purposes were signed into law today. Senate Bill 2895 appropriates $23 million for planning incentive grants to municipalities and Senate Bill 2896 appropriates $39 million in incentive grants to counties to be used for farmland preservation purposes through the State Agriculture Development Committee (SADC). The money appropriated was approved by voters on past statewide ballot initiatives. “Even in difficult economic times, New Jersey residents still appreciate the importance of preserving farmland and open space, ” Oroho continued.